Most women dread, or at least shy away from, all things automotive – especially when it comes to automotive repair. So, let’s flip things around and cater to that customer segment to not only be a well-rounded business but also elevate the customer experience for your female clientele. 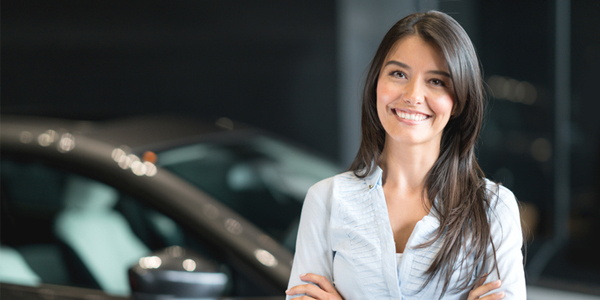 Women are typically intimidated when visiting an auto body shop and feel a bit disoriented if they’ve never been there before. Women’s brains work in a way where they want to feel organized and have everything laid out nice and neatly for them. To help them feel comfortable right away, make sure that appropriate parking and the office entrance are clearly marked so they know exactly what to do and where to go when they arrive at your shop. Everyone who walks into an auto body shop knows why they’re there. They don’t need pictures of vintage cars or racecars adorning the walls to know where they are. Don’t get me wrong, sweet Lambos and ’64 Caddys are awesome to look at, but if you’ve had the same pictures on your walls for the last 20 years…try something new! Try some abstract art or something with greenery or flowers or even some cityscapes to mix things up and give your shop a different vibe. Also, don’t be afraid to repaint your office. A fresh coat of paint can freshen things up quickly! Pick up some nice potted plants or flowers to add something natural and light to the space. OK, guys…I see you rolling your eyes. But these small changes will make a huge difference to the perception women will have when entering your shop and spending time there. No joke! Oftentimes, a woman will not want to know all the specific details of a repair but will appreciate someone taking the time to keep them informed. This will make her feel like she’s part of the process and that you care about her. Build that relationship. One thing I learned from the late and oh-so-great Marshall Gluchow was the power of a beautiful, clean bathroom in an auto body shop.